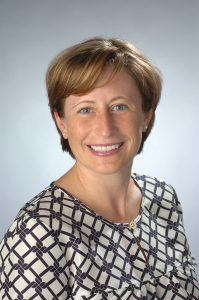 Professor of public health, Katherine McDonald, received funding from the Disability and Rehabilitation Research Program, Administration for Community Living/DHHS for the Community 4All Project, a collaborative research project involving Syracuse University and The Self-Advocacy Association of New York State (SANYS). The project total is $495,699 and its aim is to support the right to community living and participation for all people with intellectual disability. Dr. Katherine McDonald is the co-principal investigator of this project working with principal investigator, Alan Foley, a faculty member in Syracuse University’s School of Education. Community 4 All is funded by the National Institute on Disability, Independent Living, and Rehabilitation Research (NIDILRR), part of the U.S. Department of Health and Human Services Administration for Community Living. Dr. McDonald uses ecological theory and social action research to understand and promote the community integration of individuals with disabilities. Her current research spans two core areas of inquiry including respectful, inclusive research with adults with intellectual and developmental disabilities and (2) participatory action research addressing disparities. McDonald is also a faculty fellow at Syracuse University’s Burton Blatt Institute.